The Apostle Paul penned his letter to the Colossians as he sat in a prison cell. People have a lot of time to think and pray while they are in prison. Paul wrote inspiring words to edify and encourage early believers during his long periods of imprisonment. We don’t know much about Archippus. Paul was specifically calling him out in this letter, perhaps because he was procrastinating. We believe that he did heed the Apostle’s words. Church tradition teaches that Archippus later became the first bishop of Laodicea in Phrygia and was martyred for the faith. Paul’s words can be directed to all of us as well: “See that you fulfill the ministry that you have received in the Lord.” Be it a church ministry or any service rendered anywhere for the Lord, your own unique call is a gift from God to be pursued and fulfilled. 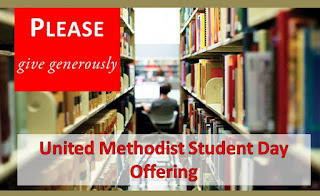 This Sunday, November 25, churches will receive our annual United Methodist Student Day offering that enables many students to receive higher education and pursue their future careers in Christian leadership. Nothing could be more important for us as a church than to prepare our now and next generations of leaders. 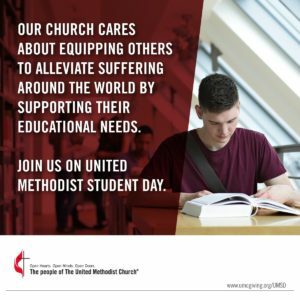 The scholarships your Student Day offerings provide are crucial to fulfilling the hopes and dreams—indeed, the call to serve—of countless college students. Many of them are seeking, striving to fulfill the ministry they have received in the Lord. 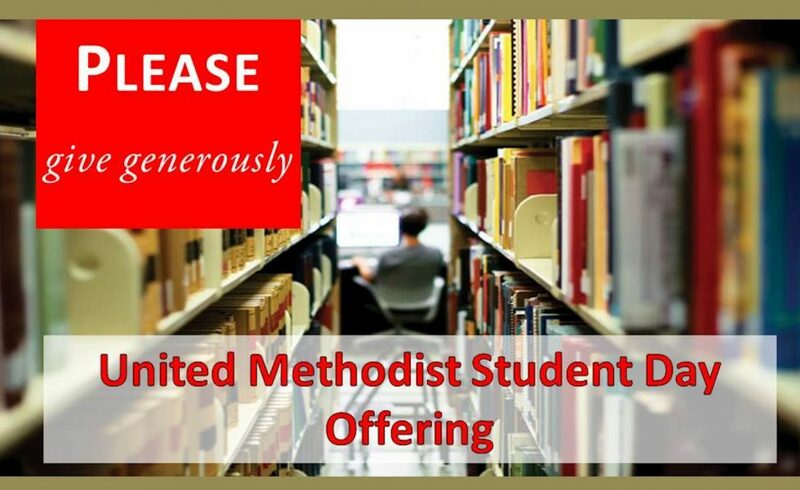 Please give generously to this special offering because it touches a future that is full of God’s faithful promises. And as you do, prayerfully consider the ministry that you have received from the Lord. What do you need to pursue the ministry that you may have been putting off, like Archippus? May you find it and fulfill your call with true faithfulness. And please know this: God will equip you and stand by you always.